Like I mentioned, students buy two different sizes of notes... this is so that they can write more on the bigger Post-it® Notes if needed; the smaller Post-it notes are for quick and easy reference. I then tell them they will be looking QTiPS in their reading- important Quotes, Themes, People, and Symbols. As they read and they come across any of those four things, they mark it with the corresponding color. I'll show you some examples of how I do it in class using the first book I'll be reading with my AP class this year and one of my personal favorites, Lord of the Flies. 1. Identify important Quotes (green): Students must learn to find quotes that are especially significant, that foreshadow, that reveal character traits, etc. At first it is hard for students to learn to pick out quotes that are important, but as they go it gets easier and easier. On our first novel that we all read together I help them and give them lots of clues so that in no time they can find those quotes on their own. In Lord of the Flies, we marked the quote "He was batty. He asked for it" toward the end of the novel. This is referring to a main character who the boys murder. The quote is important because it shows the full effect of the island on the boys, that they so easily justify their heinous act. 2. Identify the Themes (blue): All great literature has a multitude of themes, and the themes manifest themselves over and over throughout the book. I have students trace the themes as they read. In Lord of the Flies the desire for power, the inherent evil or good nature of man, and the loss of civility are all huge themes. I have students take note where the themes occur and reoccur. This was very interesting to me last year because students would start to find themes within the novel that I had never even noticed. When the students are teaching me is when I know they're really digging deep. Those are my proudest teaching moments. 3. Take notes about the People (pink). I have students make observations about characters as they go- what characteristics they notice, what the strengths and weaknesses of the characters are, and definitely any time they see a shift in character. (That's a big one- it usually means the author is up to something!) The main characters are obviously very important to annotate, but I always tell students to be aware of the power of minor characters. Piggy, Jack, and Ralph are the main characters in Lord of the Flies who are obviously important but Simon and then later Roger are crucial to the plot, too. I'm always really proud when students read the clues and can tell early on what "minor characters" will end up having major effects. 4. Pay attention to possible Symbols (orange). Lord of the Flies is rife with symbols- the conch, the glasses, the fire, the island. Symbols are something that students easily miss if they aren't actively looking for them. Once they understand they symbols and their importance they are really able to analyze and think about the book on a deeper level. The beauty of this system is that after we are done reading the book, the students have the perfect way to study for their test. They go over their little Post-it® Notes and then they are good to go for the test day. And for my AP students it is especially awesome to prepare for the big AP test at the end of the year. At the end of each novel I have my students take out all their notes according to color and stick them on their notebooks. They put QUOTES at the top of the page and then put all of their green Post-it® Notes on the following pages, next they put THEMES and that's where are their blue Post-it® Notes go, etc. That way they have their notes for the whole year. Also, there are a million and one things I could have students look for when they read, but I find that four is a good amount. It keeps them busy without overwhelming them. Any more than four and I think it would be too hard for students to remember what they're looking for, any less and I think they would miss important parts in the book. 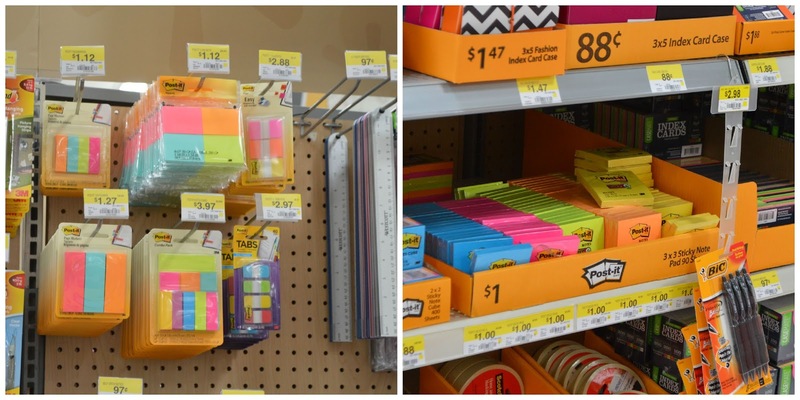 I found my Post-it® Notes at Walmart in the Back-to-School seasonal area right at the front of the store. You can also find the products in the stationary section.